I’ve been asked this so often that I figured I’d share exactly how we use Intercom, the benefits it provides our business, and more importantly, the benefits it provides our customers. I’ll break it down into standard use cases, and some of our more unique use cases. This is one of the most common use cases people think of when using Intercom, but giving your users the ability to chat directly with your team is incredibly impactful. Not only does it enable your team the ability to solve support issues faster, but allows your users to engage with your company in more human way. 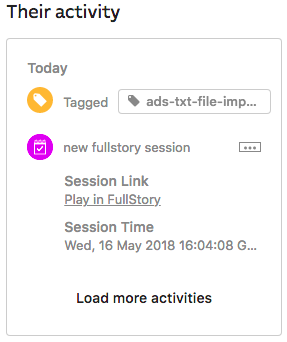 I can chat with the user immediately in Intercom, replicate the issue by watching the last Fullstory session (via Fullstory’s Intercom integration), and track the issue in our “Bugs 🐛 feed” via Userfeed (which will associate the user with this issue and link the conversation in Intercom so whoever is fixing the issue has context). We’ve built out our KB to allow users to search on their own and make it easy for our team to send KB articles directly within Intercom messenger. Making it simple for website visitors to engage with you at the beginning of the sales process is key to conversion rates. You did all this work and spent all this money to drive someone to your website. Don’t blow it by making it hard for them to engage with you. 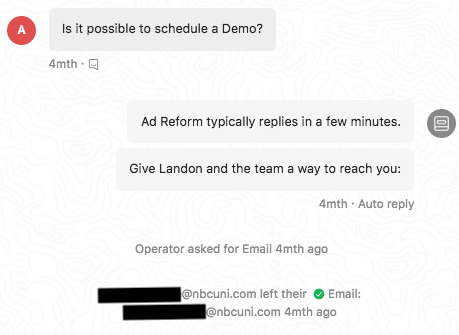 We have Intercom’s messenger on our website, enabling visitors to ask us questions, provide us their email for content or trials, and schedule demos at a time that works best for them (via Calendly). 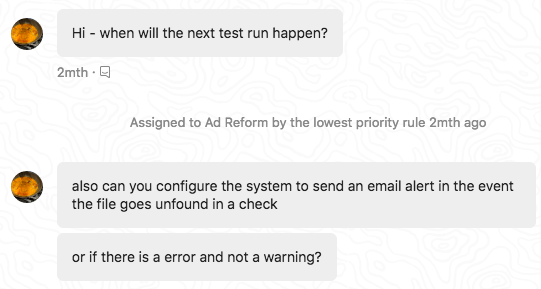 We also use Intercom’s Operator (messenger bot) to automate lead flows for situations when we’re not around our computer (e.g. when we’re sleeping 😴). 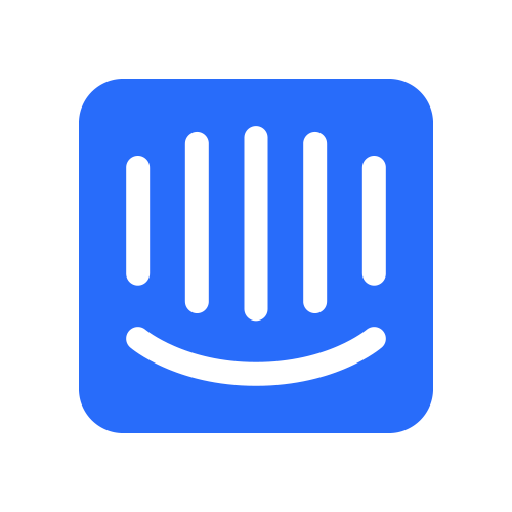 Intercom has just been starting to do more for the sales use cases, and I’m excited to see what’s next here. The value Intercom brings to your marketing team is the ability to segment users on tons of attributes, send targeted in-app or email messages to those segments, and market to both leads and users. With Intercom, you can capture valuable data about your users and how they’re using your product. This enables you to create segments of users based on things like location, revenue, industry, or certain behaviors within the product. Once you have some segments set up, you can email users with more targeted, relevant content that they might be interested in (like an update to a feature they requested), or that could help them achieve better results within your product. Most companies spend all their marketing efforts on leads and trying to generate more leads. Marketing shouldn’t stop after you bring on a customer. Losing customers (churn) is so painful to growth in a SaaS business, so keeping (and upgrading) current customers is hugely important to growth (land & expand). Marketing to current customers enables you to improve in these two areas, and Intercom enables you to reach out to the right people, at the right time, within the right channels (email/in-app). No pop-ups on every marketing page asking if you need help. We aren’t big fans of that experience so we didn’t want to force it on our users. Here’s a link to awesome examples of SaaS on-boarding that we used for inspiration. If you’re building a SaaS product, you’re probably rolling out features and improvements all the time. Moving fast is key, but it can be helpful to test a new feature with a certain segment of users before you roll it out to everyone. We utilize Intercom’s data platform and tagging function to do this. When we want to toggle a feature for certain companies, we simply search for the companies in Intercom and tag them with the corresponding feature tag we created. Boom: The feature is live in their account. I can then gather product usage data on all companies that have this feature turned on and send them a relevant message (within Intercom) if necessary! All of these channels are flawed, and anyone that’s done them knows that a very small percentage of users will actually offer feedback through these avenues (maybe 5%). Nobody has time. It takes effort on their part to respond to a survey, spend time on a phone call, or go login to some other product and write up a feature request. Even when you do get feedback, the silos between customer facing reps and your product team, plus the multitude of places people put feedback (Trello, Slack, email, GChat, Salesforce, etc. ), makes it incredibly easy to let that valuable feedback slip through the cracks. 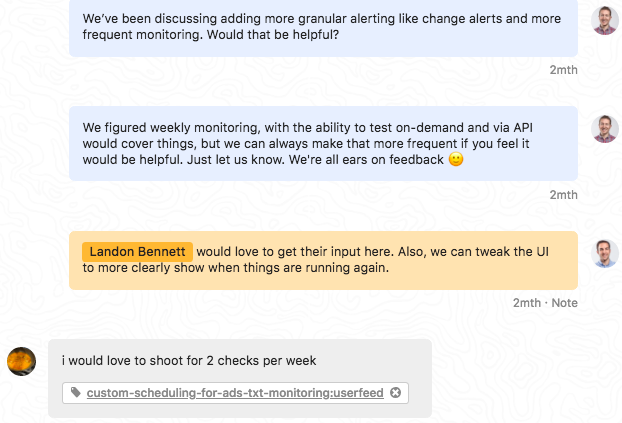 You’ll notice this conversation in Intercom started as a question and evolved into a valuable feature request, with our CTO chiming in via notes (which the user can’t see). 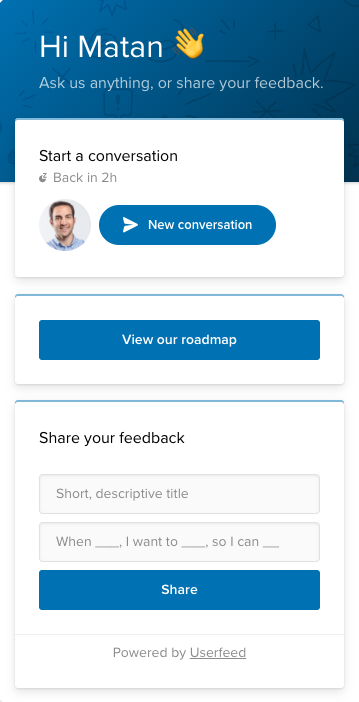 We added the feature request to our user feedback product that we built (Userfeed) and linked the conversation to that feature to add context for our product team. Plus, if that request ever comes up again in Intercom or elsewhere, all I have to do is tag the interested user to tie them to the post in Userfeed (e.g. 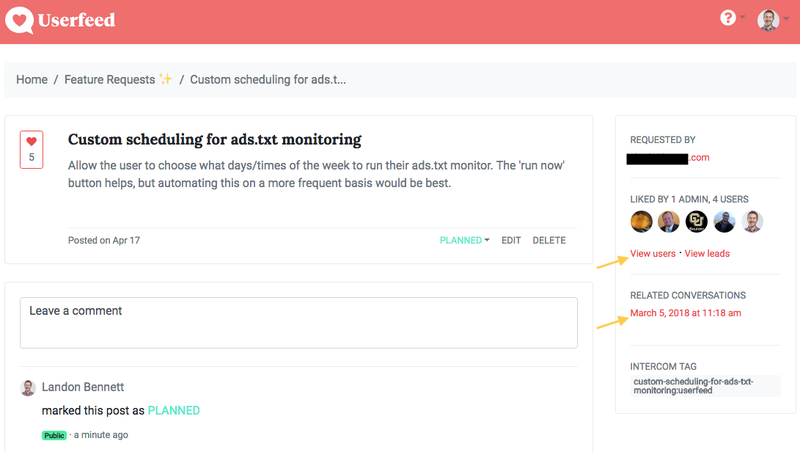 tag them with custom-scheduling-for-ads-txt-monitoring:userfeed). Intercom and Userfeed make it dead simple for users to offer feedback freely, within our app, without being prompted. Plus, it provides a clear channel for customer success folks to relay that feedback to our product team. This process allows us to get more feedback where users already offer it, decreases the chance that feedback slips through the cracks, maintains context for your product teams, and shows your users that they’re partners in the growth of the product. When we first started using Intercom, I remember Kyle and I looking at each other and saying, “Man, you could build a bunch of interesting products on top of the Intercom platform.” The biggest reason for that being the powerful API they expose to developers. If you’ve read this far, then you already know we’ve built a user feedback product on the Intercom platform (Userfeed). If you’re a smaller SaaS business, do yourself a favor and give Intercom a try. There are a few other tools out there like it (we’ve tried out Drift and Crisp which are both great products too), but nothing has given us a better overall value. The product has been a huge reason for our early success, and the possibilities for improving user engagement are endless! Husband to @TonniBennett. Goldendoodle dad. Co-Founder, Ad Reform & Userfeed. Wofford Alum. Stay hungry, stay foolish. Inspiration and lessons learned while building and operating SaaS businesses. 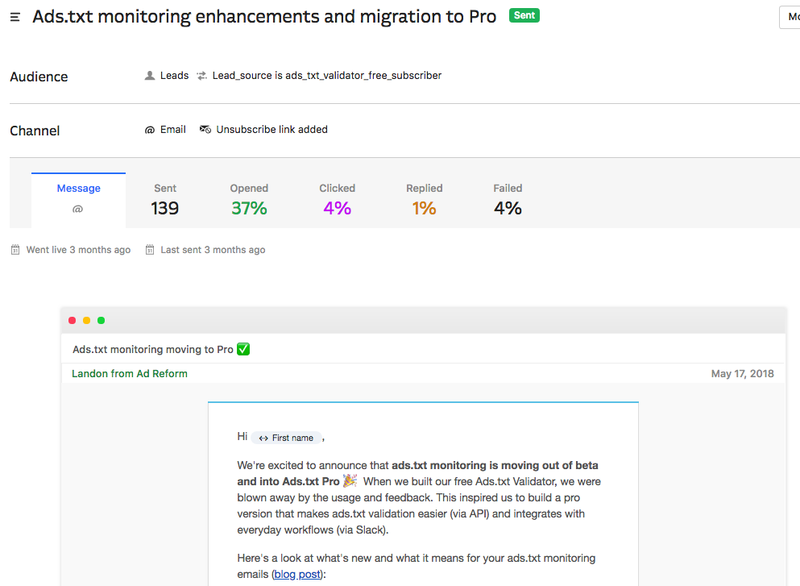 By the makers of Userfeed.io (customer feedback management for Intercom) and Ad Reform.